Yak butter are obtained from milk through traditional churning technique often at upland pasture The milk are poured into inflated goat skin bag or put into big round pot run by water power and are stirred for an hour to 2 hours The butter or cream are separated from the water milk and the butter are then wrapped it for sale in the Market or consumed it at home Unfortunately, Local people and farmers of Baltistan has given up this tradition and now Yak butter are rarely available in the Market. The first yaks were brought to the U.S. in the late 19th century. Today, Colorado boasts the highest population of yaks in the nation, with 78 breeders at last count, according to the International Yak Association (IYAK). 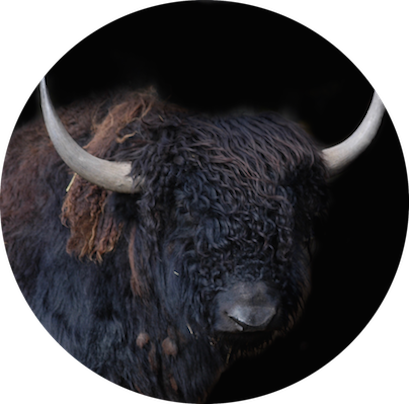 The environment is ideal since yaks thrive in cool, high-altitude climates; their thick hides offer protection from the extreme cold of the Himalaya and they’re adept at foraging for food beneath the snow. They also require about one third to one half less feed than beef cattle. To learn more, visit IYak.org. #1 Lesson in Understanding Tibetan Culture: Making traditional yak butter tea. Yak Milk, contrary to the Trivial Pursuit game, is not pink but yak butter's legendary status is well deserved. Yak butter tea is the comfort food of the Himalayas with native herders drinking as many as 40 cups a day. Yak milk is rich in butterfat at around 6% to 11% making it perfect for yogurt, butter, and cheese. Yaks evolved under harsh mountain conditions and are well adapted for winter. Their bags and teats are small, compact and close to the body so they don't freeze. In Tibet yaks are primarily considered dairy animals. Yak butter tea made from fresh butter is quite good, although very rich.